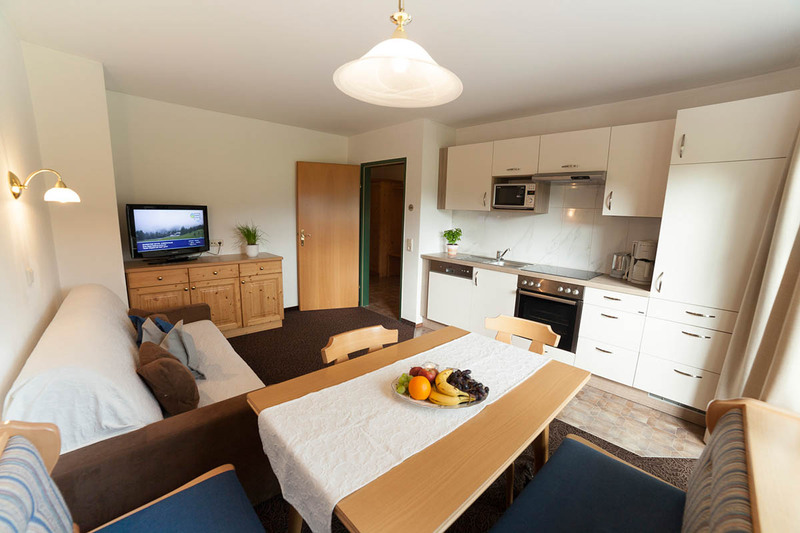 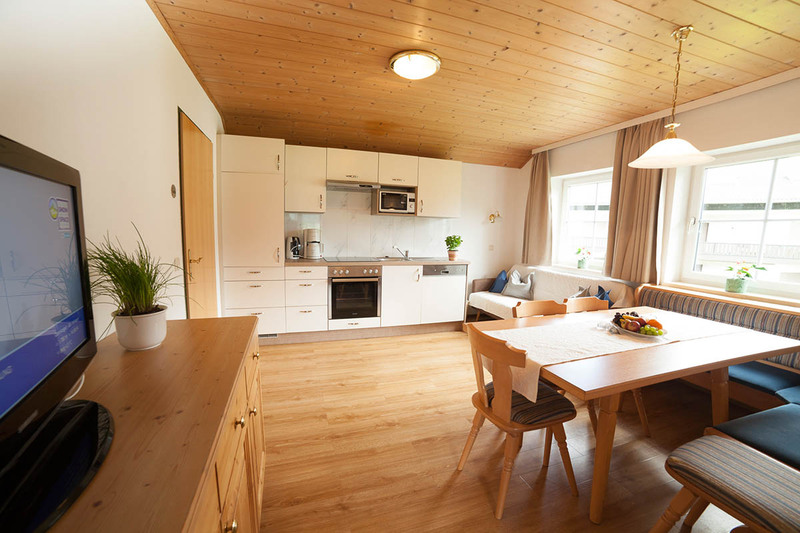 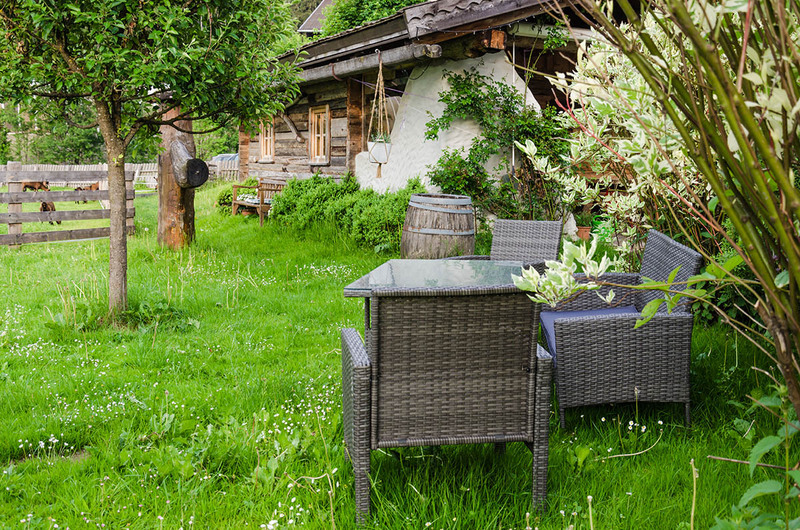 Our spacious apartments are furnished in country style wooden furnitures. 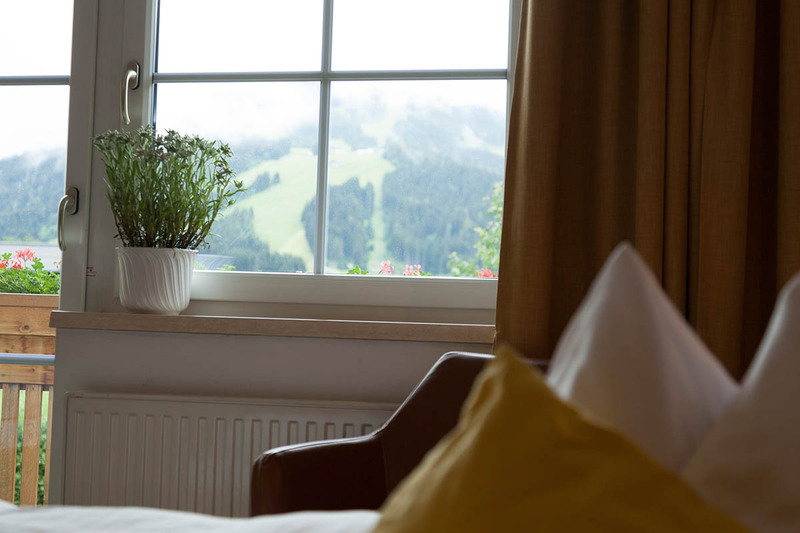 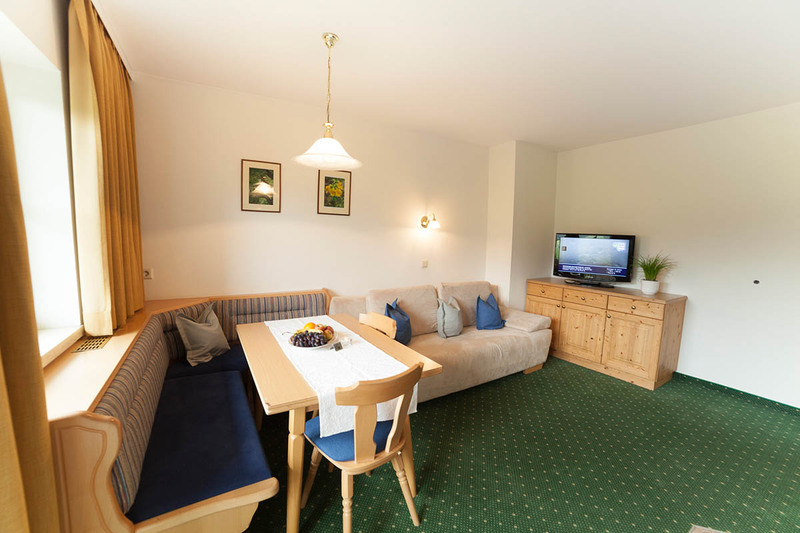 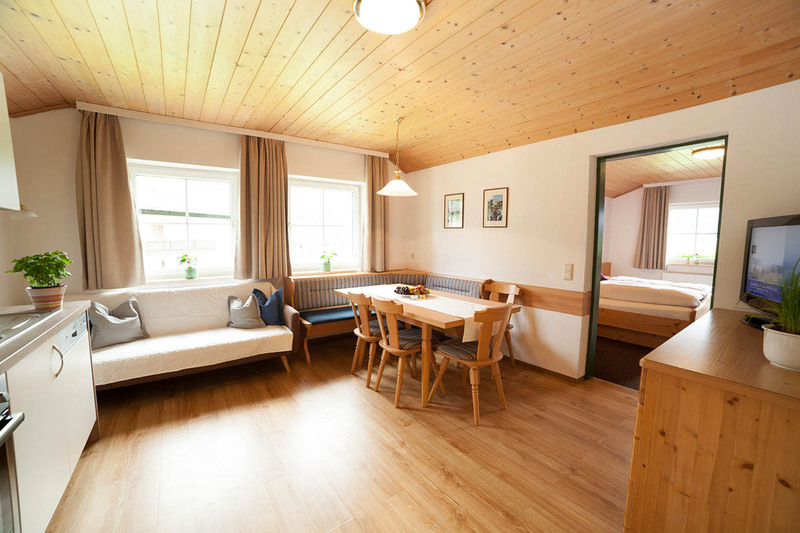 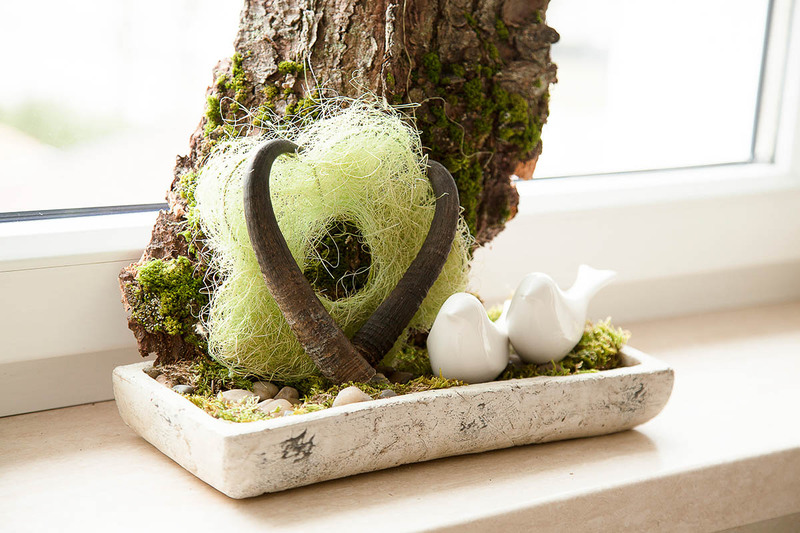 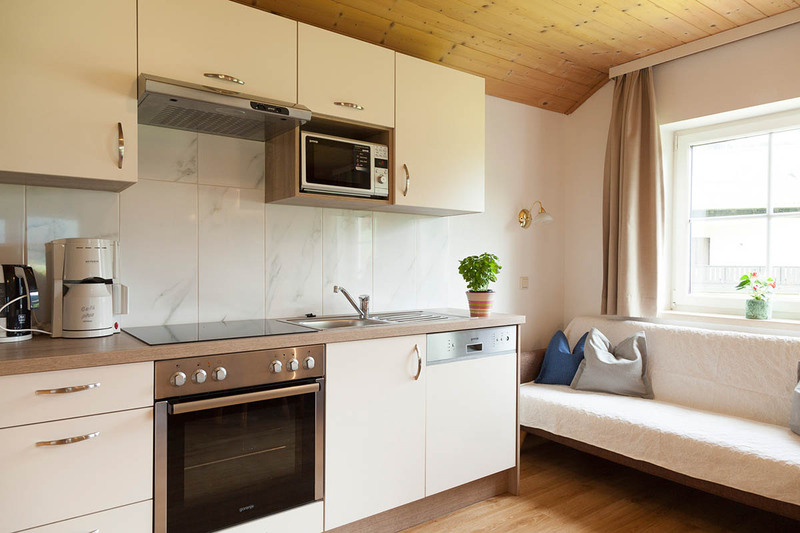 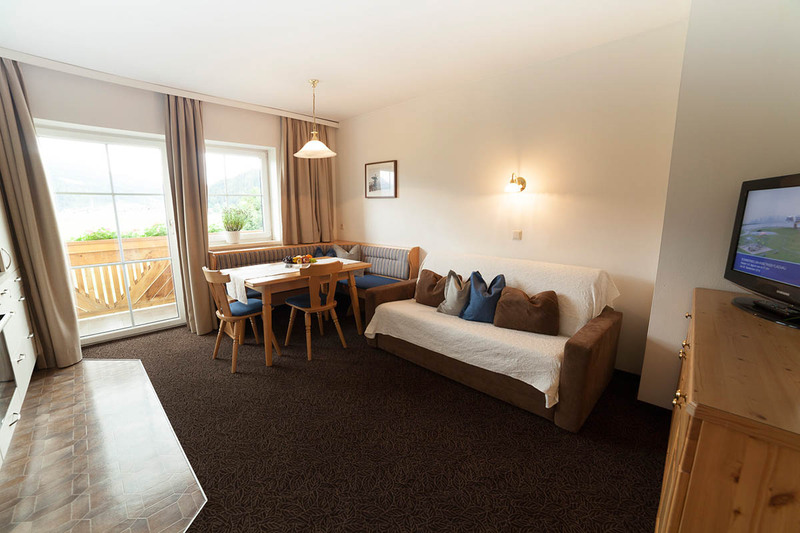 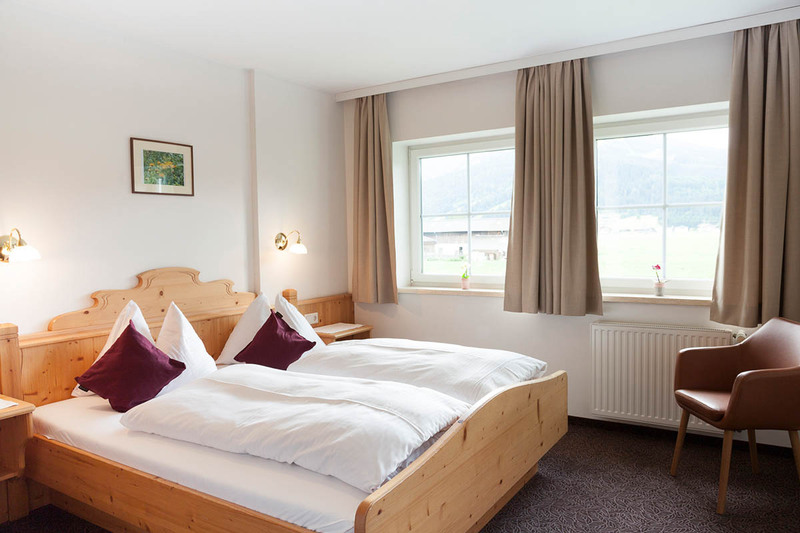 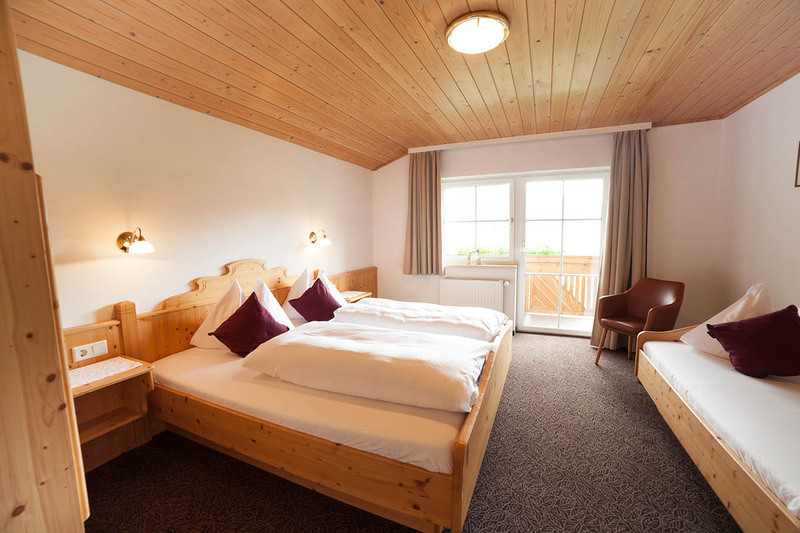 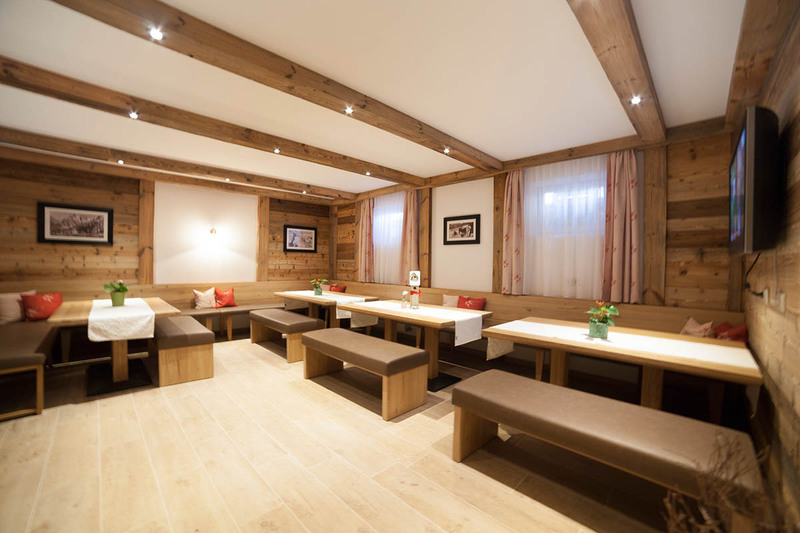 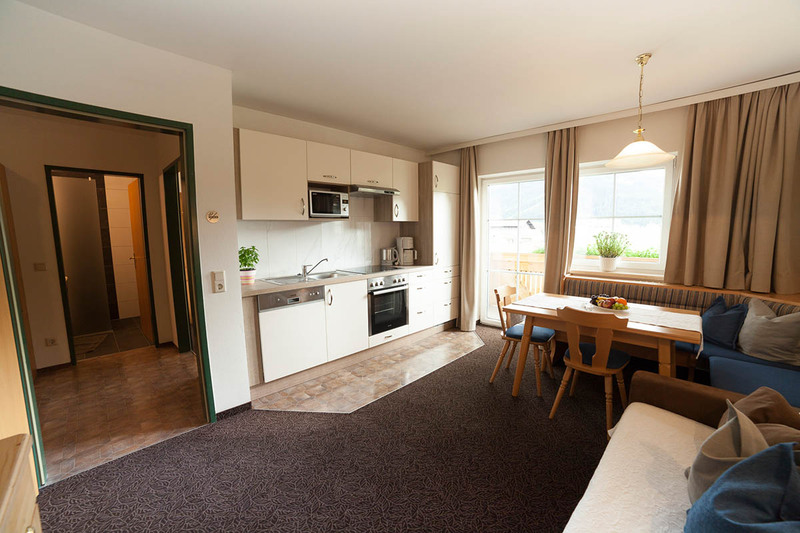 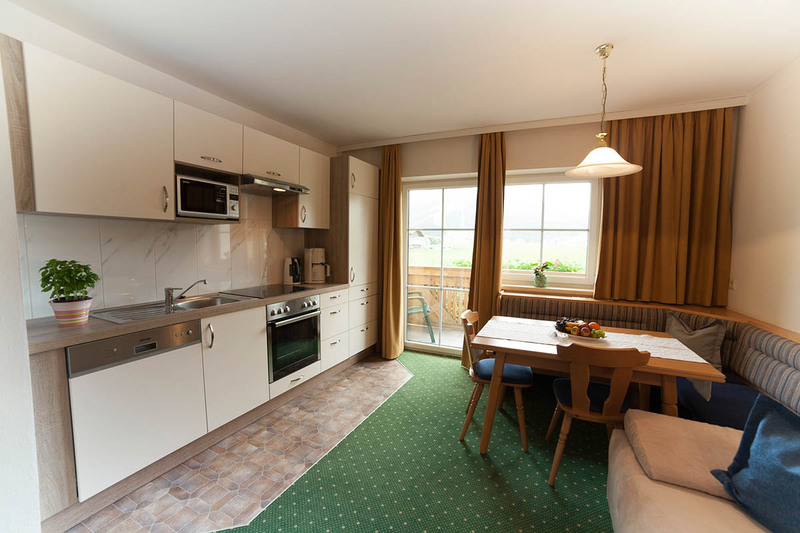 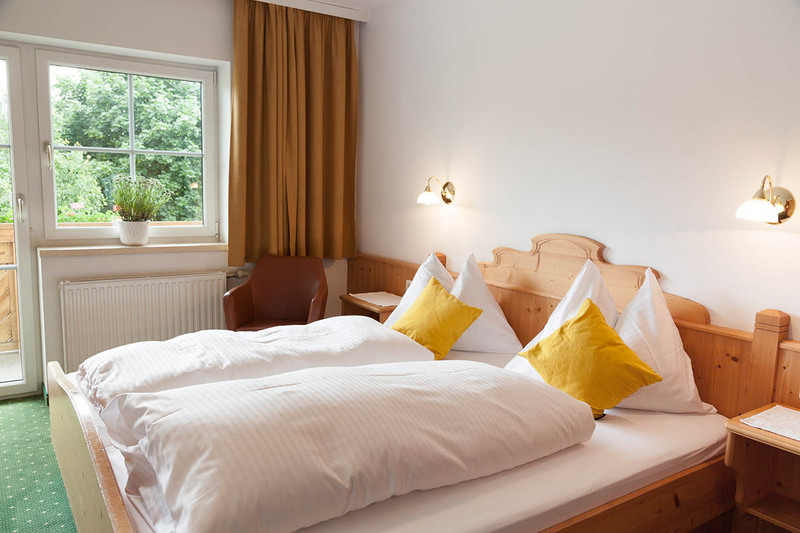 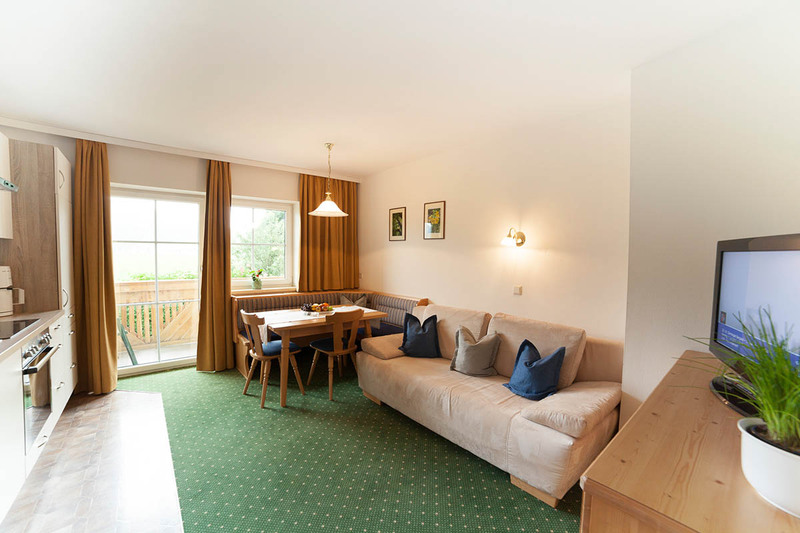 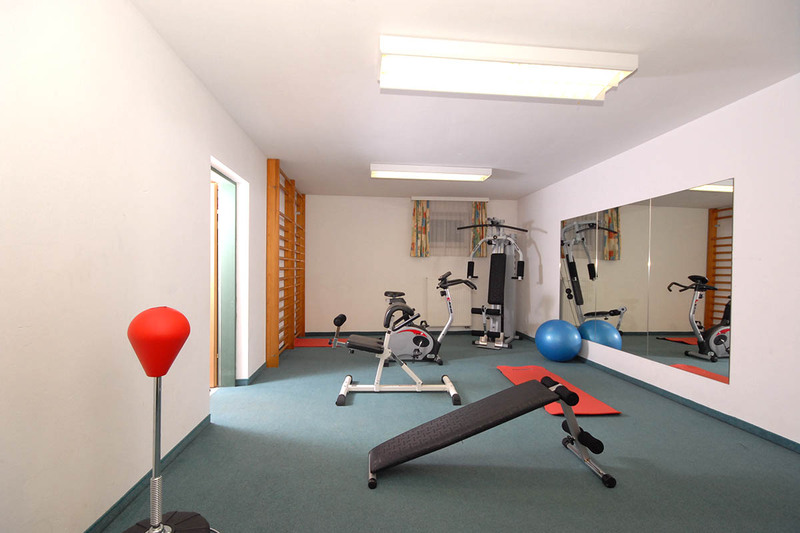 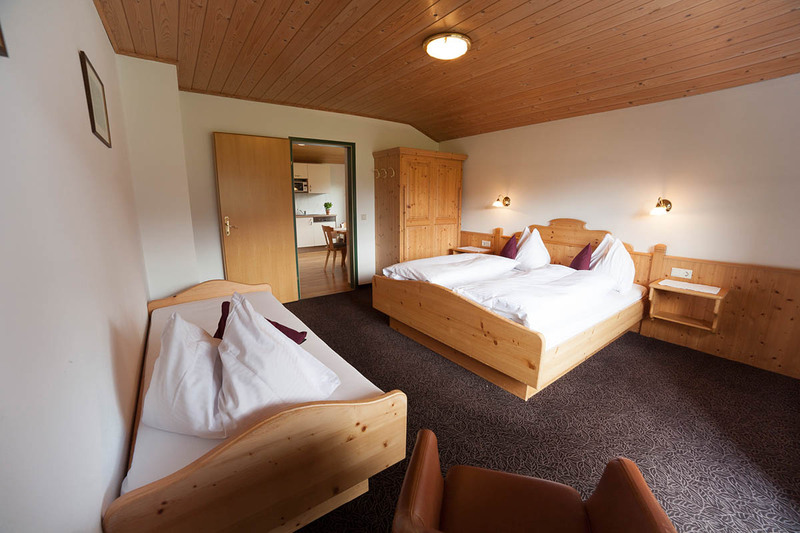 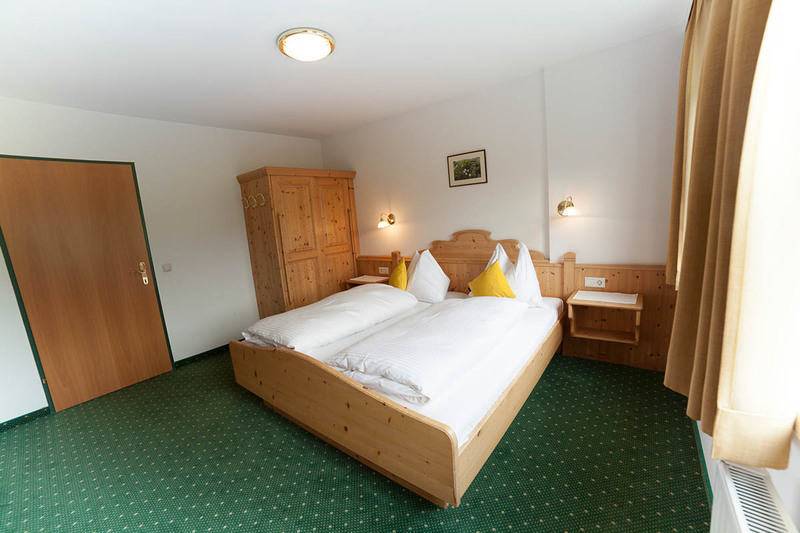 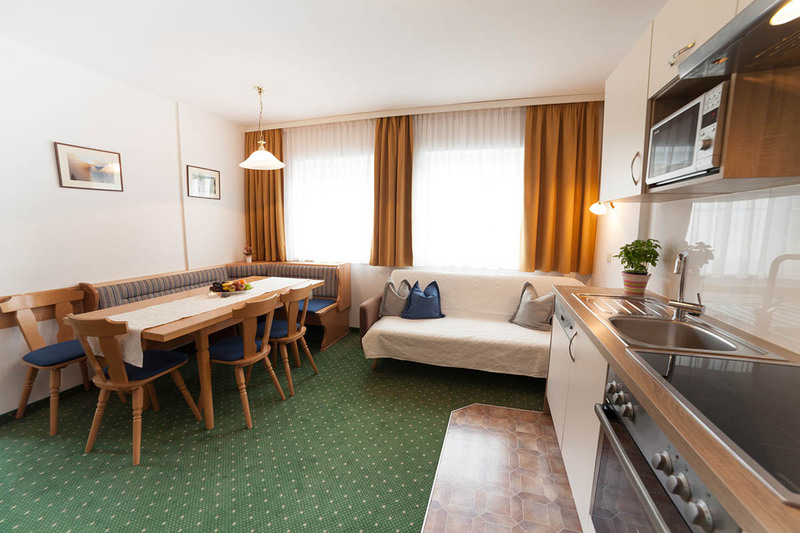 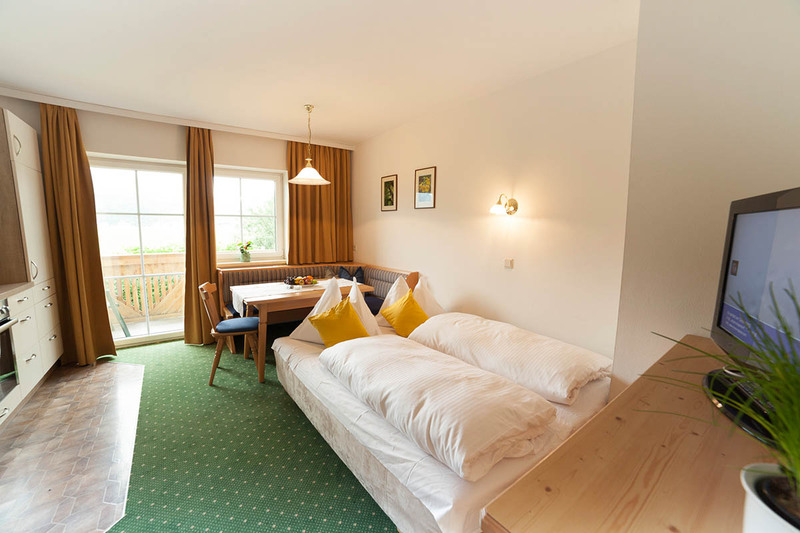 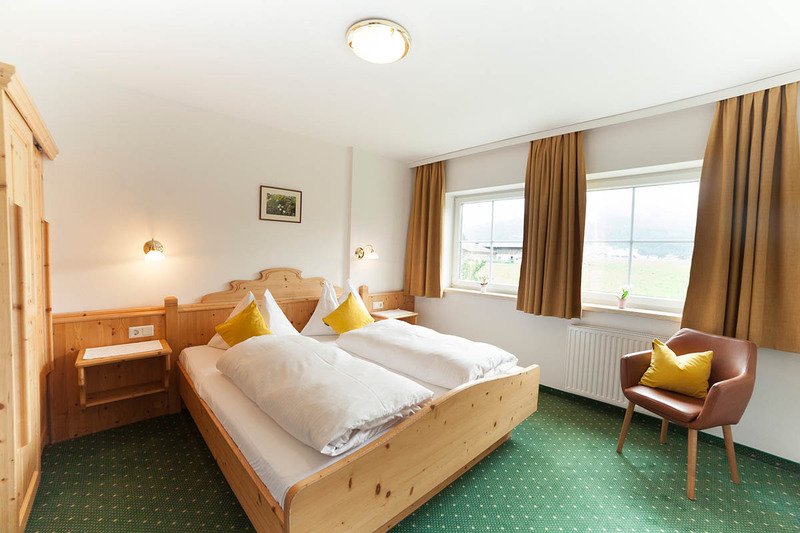 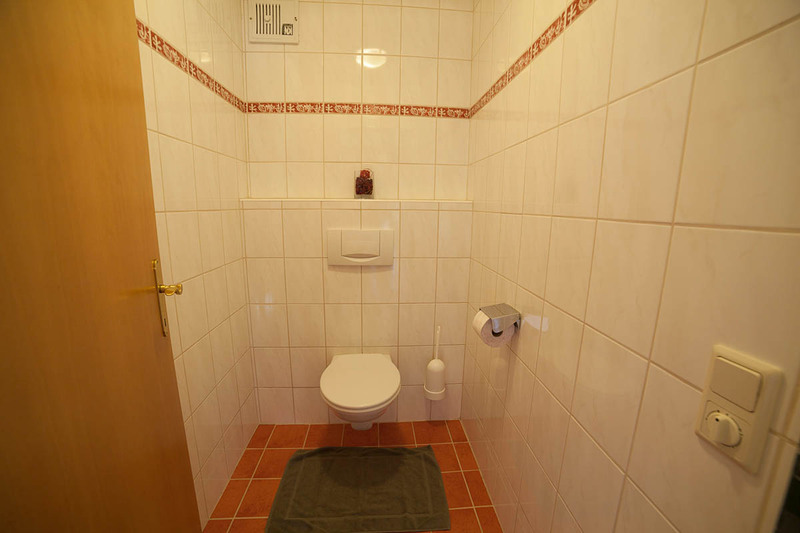 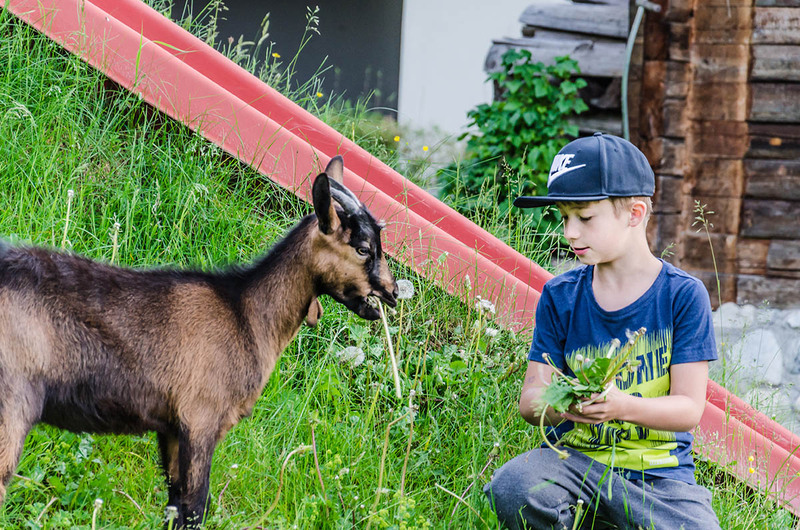 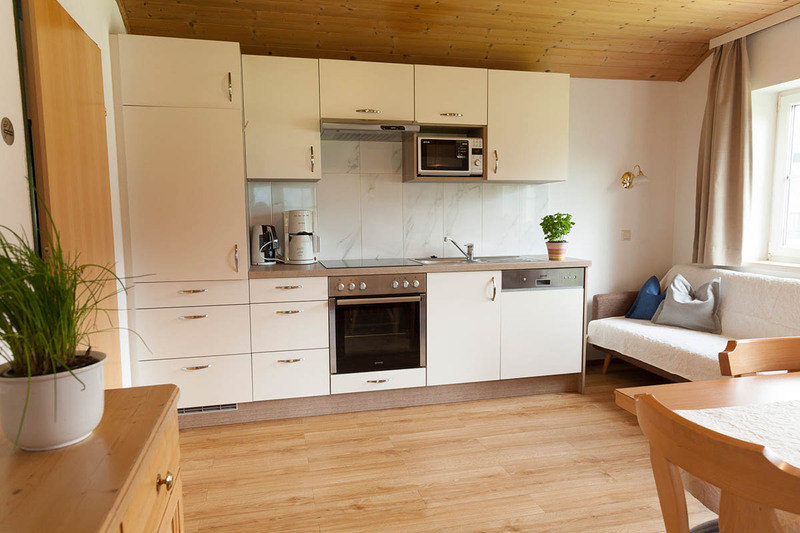 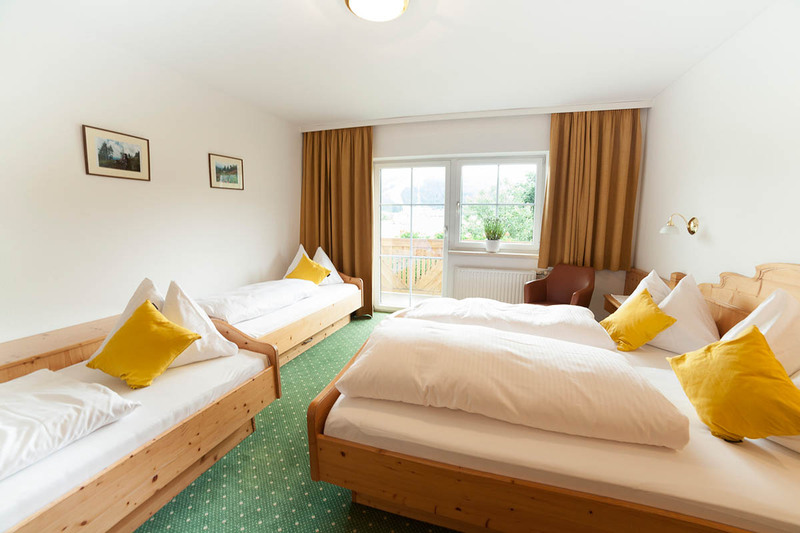 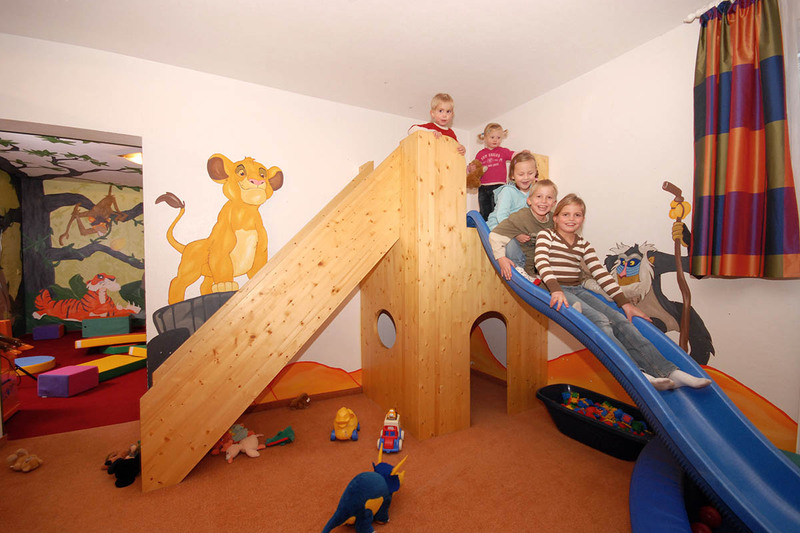 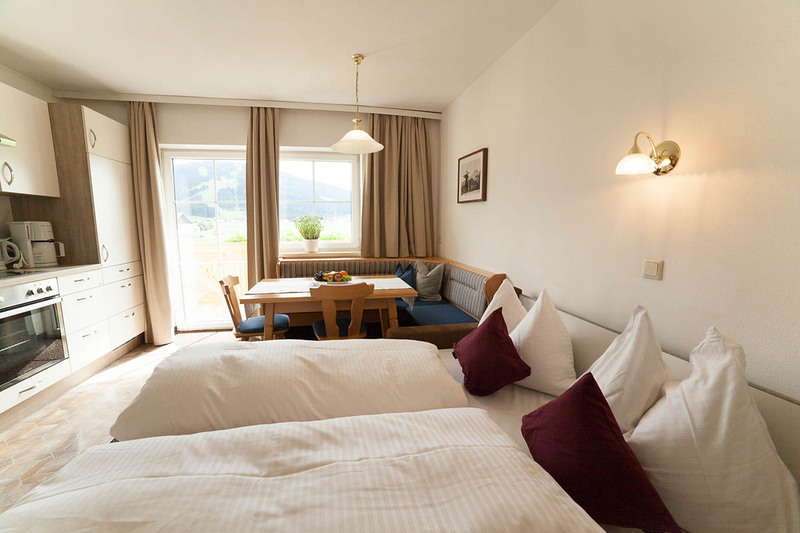 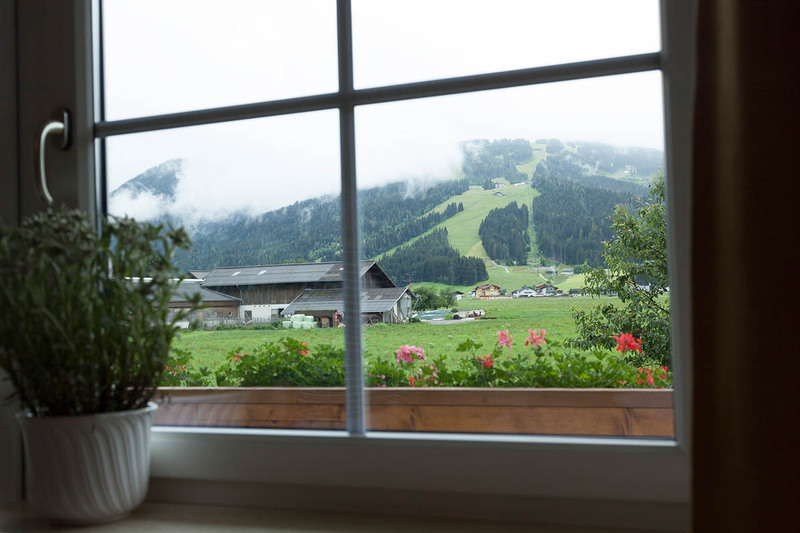 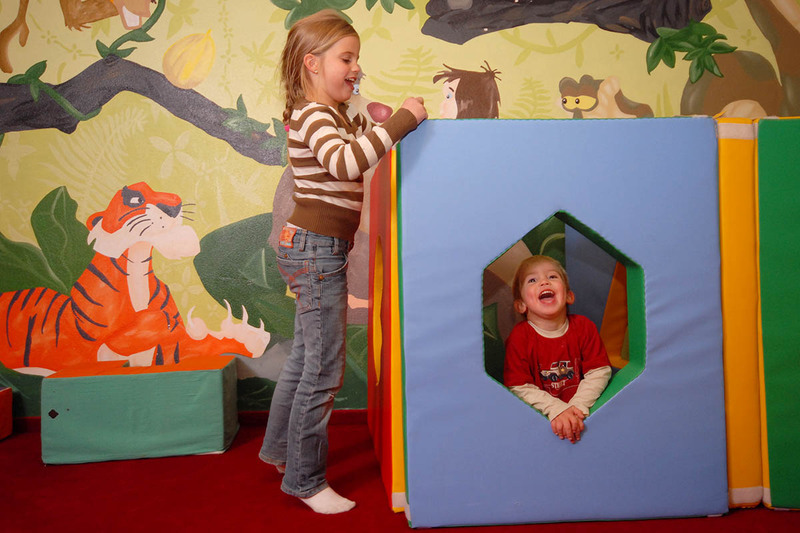 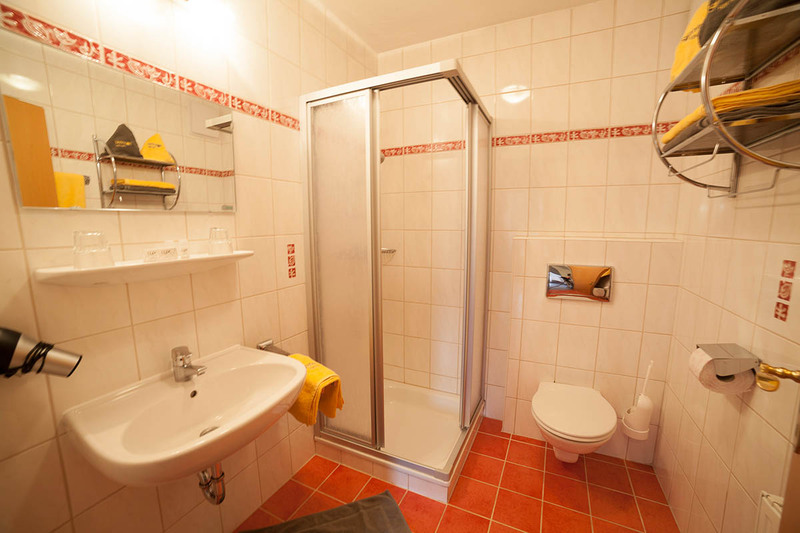 An ideal lodging for your ski holiday with family and friends here in Austria. 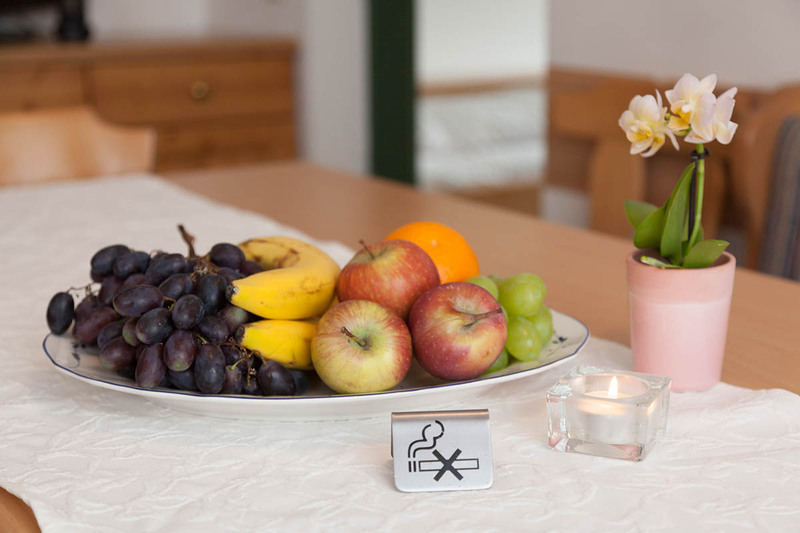 All of our apartments are Non smoking. 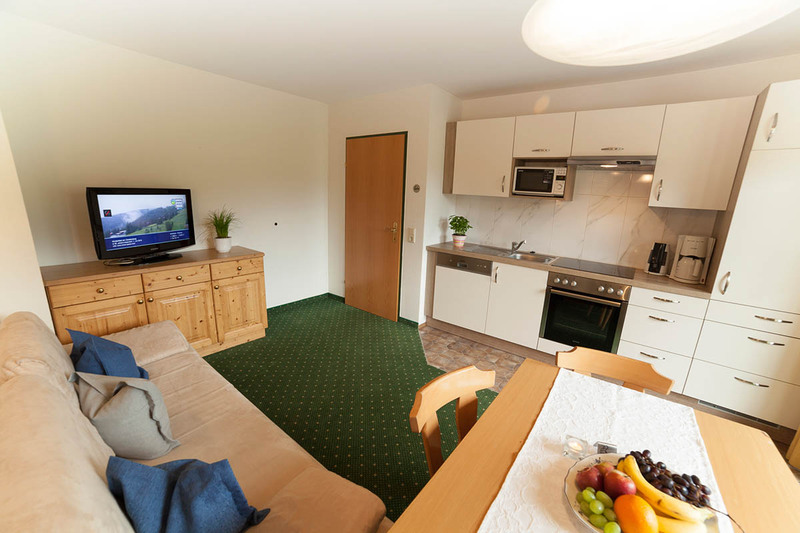 Every one of them has a south-west facing balcony available overlooking the slopes of Snow Space Salzburg. 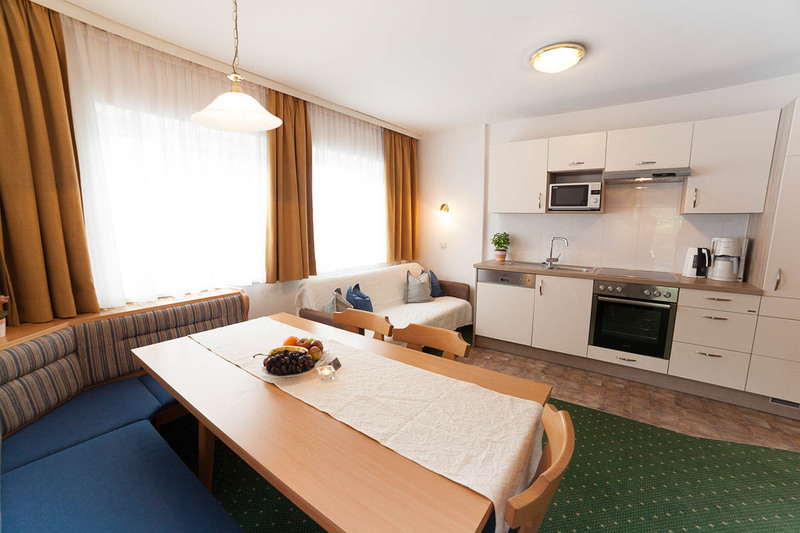 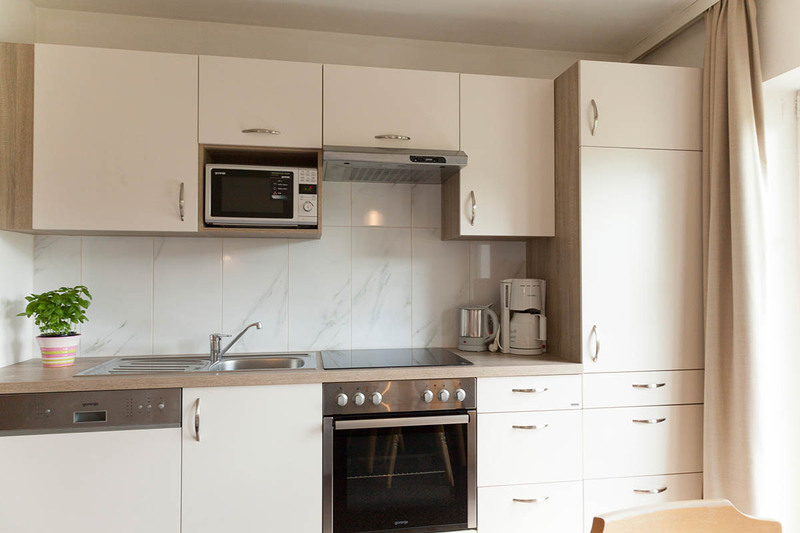 Our apartments are fully equipped with bedding, towels, tea towels, hair dryer, sofa and flat-screen TV with digital channels. 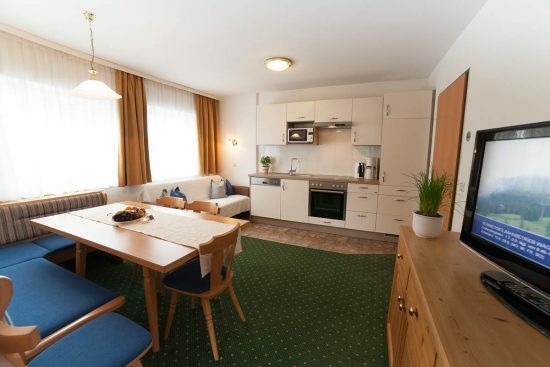 Of course free wireless internet and free parking are also available. 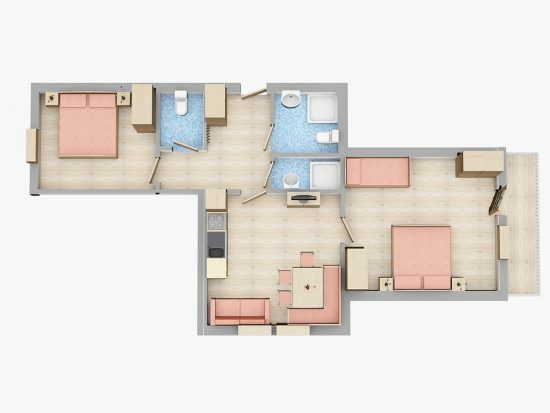 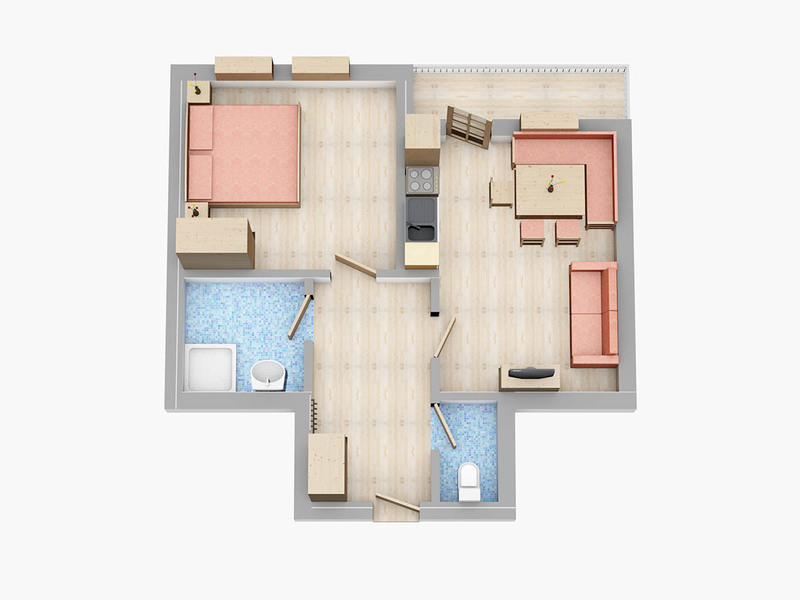 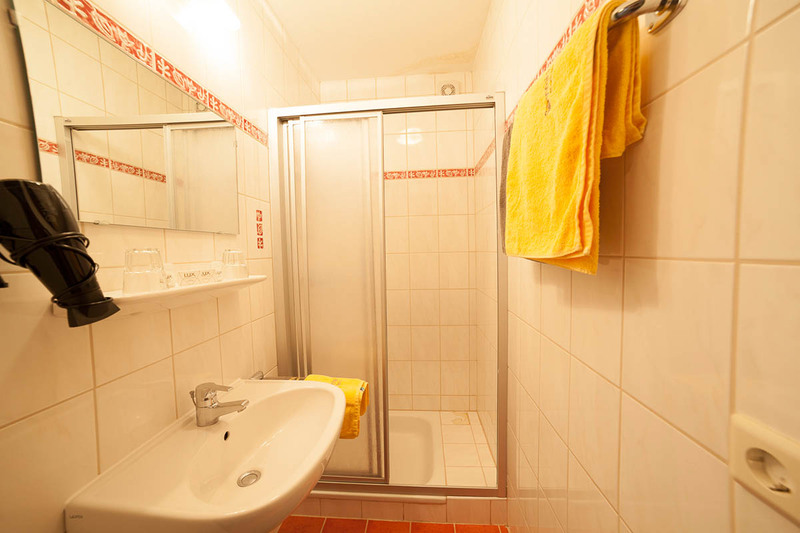 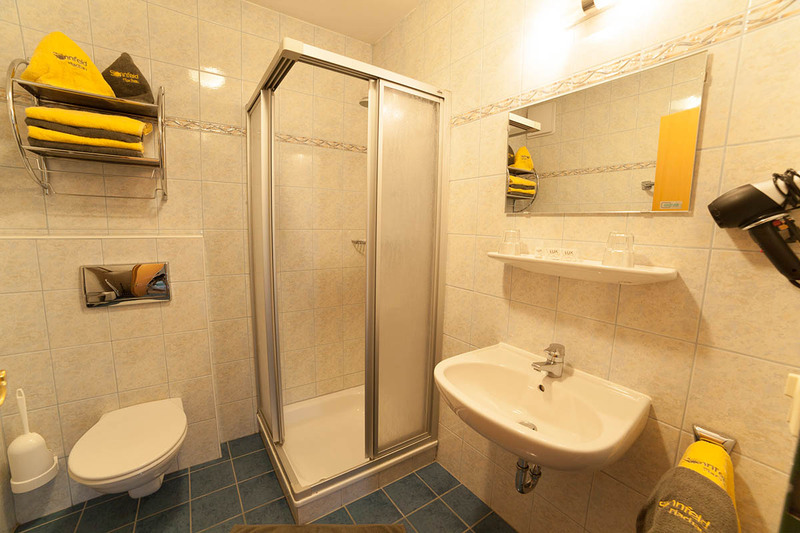 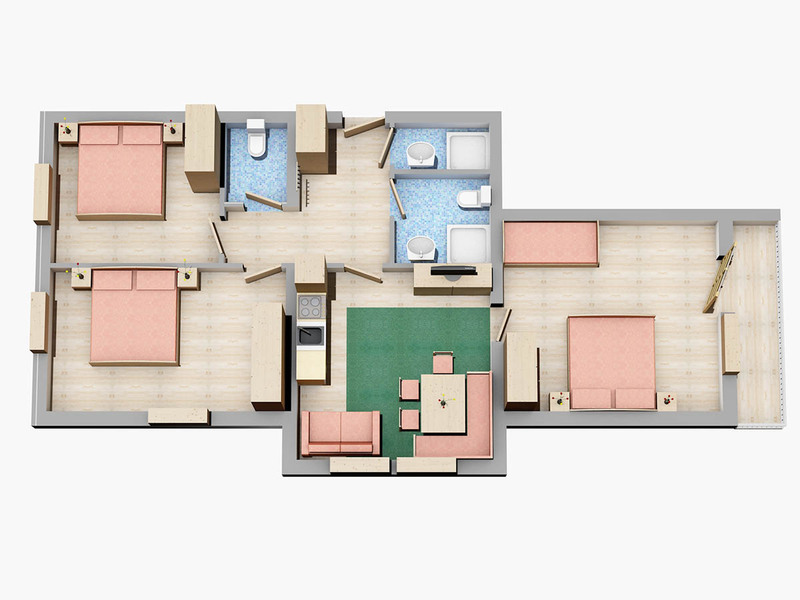 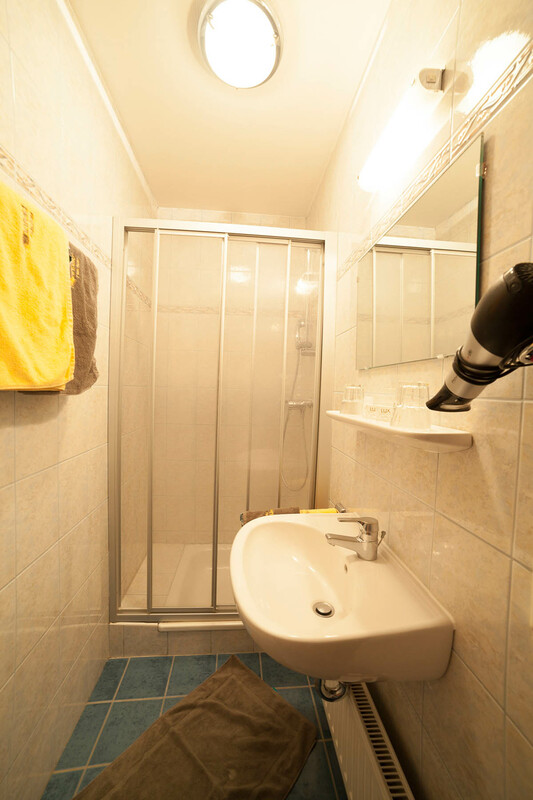 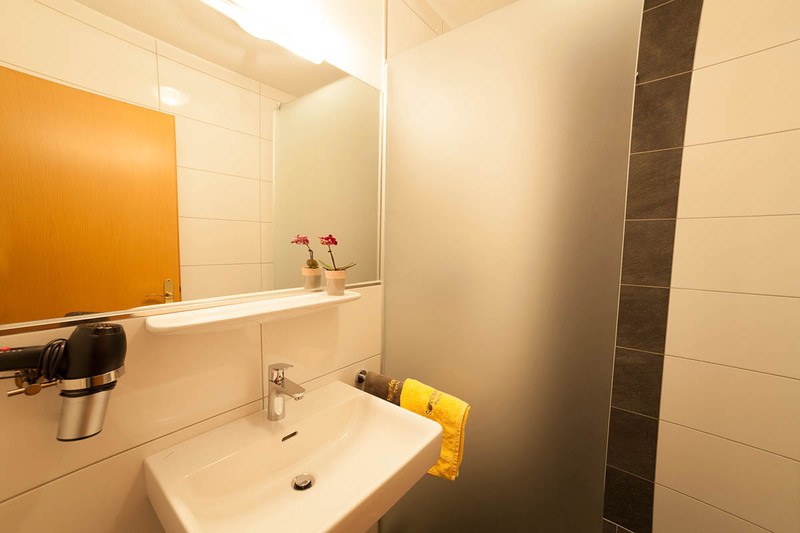 with double bedroom, eat-in kitchen with a day bed, shower, toilet, (southwest) balcony, flat screen TV with cable and digital receiver as well as wireless internet. 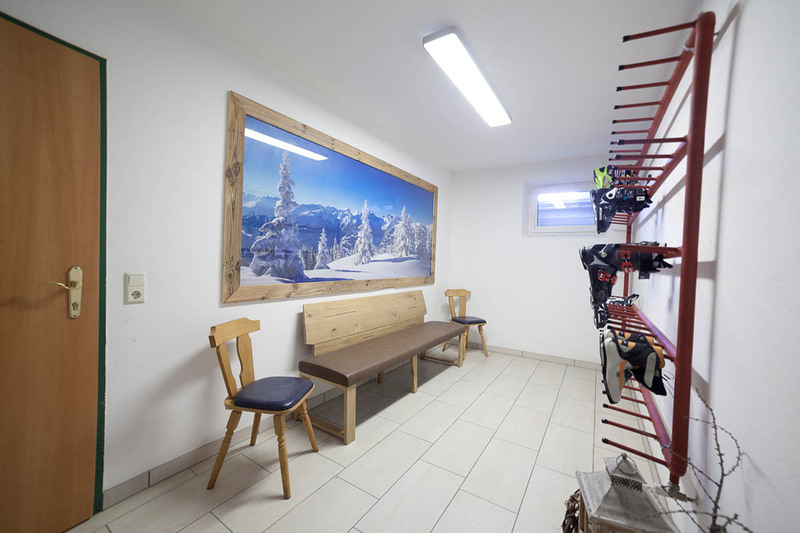 Our apartment house in the midst of Ski Amade in Austria, on the sunny outskirts of Flachau, is located nearby the ski lift “Space Jet” Flachau, right next to the bus station and right by the cross-country ski run.You will also find ski schools, ski rentals, ski kindergarten, a large free car parkig lot and the après-ski bar “Dampfkessel” right next to the ski lift.